The northern entrance to Palm Beach has gotten a face-lift. It was nearly five years ago that work began to build a new Flagler Memorial Bridge, kicking off a series of seasons featuring ugly construction, bad traffic and foundering area businesses. The historic Royal Poinciana Plaza stayed open but didn’t flourish. By the end of January, it’s going to look a whole lot different. Bradley Park renovations are underway, bridge construction is finished — creating a smooth two-lane entrance into the town — and the plaza will have its grand opening to showcase its now 50 businesses in what could be another booming home for shopping on the island along with Worth Avenue and other corridors. 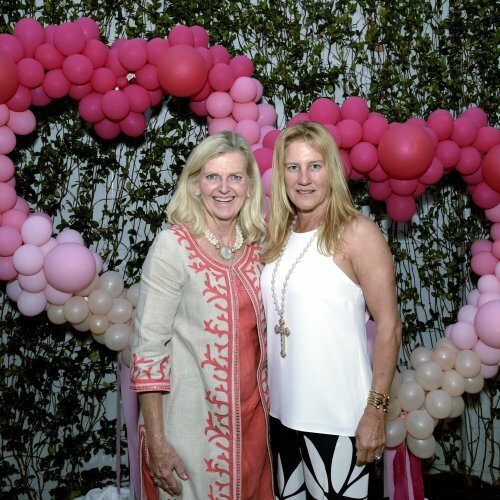 “The opening of the Royal Poinciana Plaza will strengthen the Town of Palm Beach with yet another venue for building community, making connections and creating experiences for both longtime residents of Palm Beach and those just discovering it,” said plaza General Manager Lori Berg. The plaza — or just The Royal, as some have taken to calling it — announced a dozen incoming businesses in August, including Celis Produce and Virginia Philip Wine, Spirits & Academy. Management of Up Markets, the owner of the plaza, envision a place where people can go to yoga classes in the morning, have brunch in the afternoon, shop all day and then come back for dinner. The other 10 businesses announced in the most recent wave are Saint Laurent, Magasin, Collective, Valentina Kova, Cynthia Rowley, St. Frank, Vespa, Paul Labrecque Salon and Spa, Big Flower and Theory. Nearby on the town’s historic main street, Cucina restaurant will have a new look, new food and new ambiance, and such businesses as Peterbrooke Chocolatier, Sprinkles, RSVP and Mildred Hoit have survived the years of bridge work. A ribbon-cutting for the plaza is set for Nov. 29, followed by a grand opening celebration in January. A reveal of the holiday decor is set for Dec. 1. The changes are a welcome sight for Town Manager Tom Bradford, who thinks the plaza could be the new anchor for shopping in the area. “They took a space, or a property, that was in need of a face-lift and did a fantastic job,” Bradford said of Up Markets, which manages the plaza. 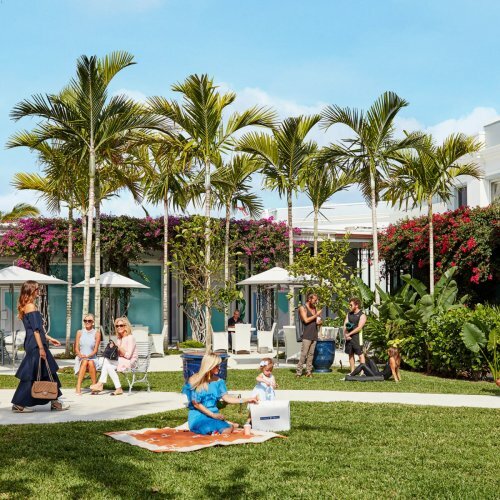 The mix of businesses and high-profile brands should make it a destination for tourists and residents outside of the island, he added. Bradford also is pleased with the variety of businesses, but he says one still needs to be added — the arts center at the shuttered Royal Poinciana Playhouse. Up Markets has urged patience on the Playhouse. The company has a possible tenant, but the deal has been delayed while the possible tenant focuses on another acquisition, Up Markets head Samantha David said at a recent Town Council meeting. Renovations at Bradley Park also will wrap up by the end of the year, and work at the Testa’s site is under way, although it won’t be finished for more than two years.